The two rooms and small kitchen were great and perfect as we were traveling with a 2 year old. The bathroom was fabulous. Bed very comfy. Very pleased with the crib and set up when we arrived. We loved the location! Very beautiful apartment! My whole family really enjoyed it!!! Great location and spacious comfortable apartment! The apartment was clean, modern and comfortable. Great value for money. A good place to stay if you don't want to be in the busy touristy areas. The highlight for us were the staff. Always very friendly and helpful. We left one of our bags in the room, and the staff were very helpful with organising it to be posted back to us. Thank you! the extra amenities like coffee, apples, water and shampoo and bodywash. The place was very beautiful. The apartment is quite big and very clean. The staff was amazing. the apartment is close to transportation , the staff are very friendly, the bed is very comfortable. the location is good, with several good restaurants on the same street. Excellent kitchen, with all you need available. Location was ok. Close to train stations and cafes. The room is fairly spacious. Loved the apartment!!! clean, fresh, lovely decor, all of this was wonderful. The staff were great - we arrived late after getting lost and my 3yo son was tired and hungry. The receptionist was more than helpful and even helped us take our luggage to the room. She was very friendly, and helped us locate a restaurant not far away so that I could get dinner for my son. Breakfast room service arrived promptly at around 9am as requested. The service staff were more than happy to let me stay in the room a few minutes longer when they saw that I was struggling a bit with my son to get him ready in the morning. The young man on reception in the morning was also very friendly, and called us a taxi for the airport. The facilities were lovely and my son was really impressed with the sparkling floor tiles in the hallways with their mirror like shine. Lock in a great price for Arabel Design Apartments – rated 8.9 by recent guests! 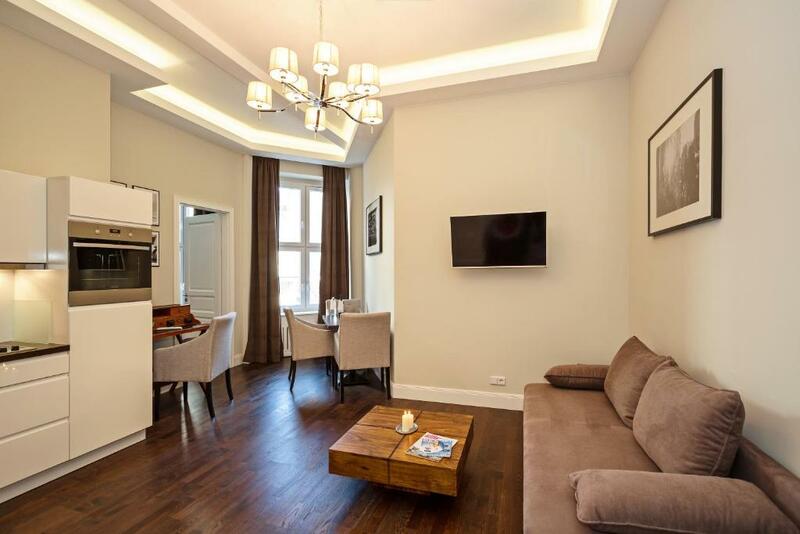 Arabel Design Apartments This rating is a reflection of how the property compares to the industry standard when it comes to price, facilities and services available. It's based on a self-evaluation by the property. Use this rating to help choose your stay! One of our top picks in Berlin.Arabel Design Apartments are quietly located in Berlin and offer free Wi-Fi. The property is 1.2 mi from The Brandenburg Gate and from Checkpoint Charlie and is nonsmoking throughout. Apartments at Arabel Design Apartments feature a TV, a seating area and satellite channels. There is a fully equipped kitchenette with a microwave and an oven. Featuring a bath or shower, private bathroom also comes with a hairdryer. Guests can enjoy breakfast in the comfort of their own apartment. 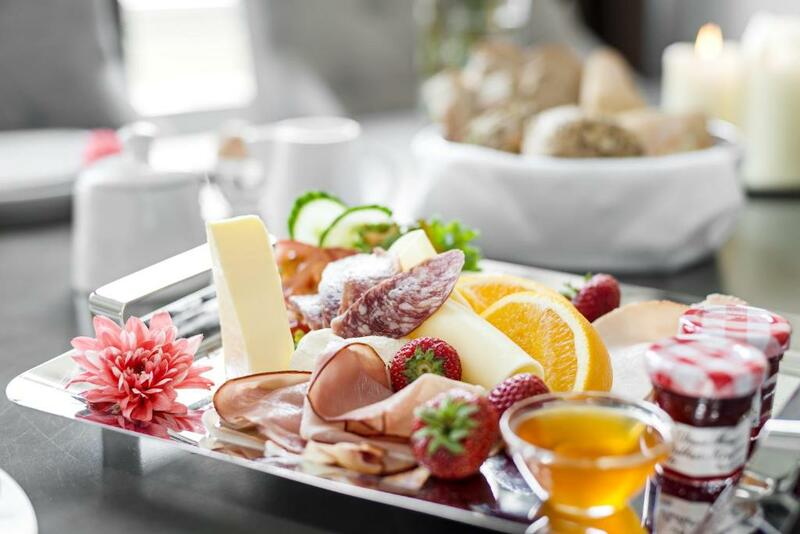 A breakfast plate is served to the apartments from 08:00 on weekdays and from 08:30 at weekends. Arabel Design Apartments offer other facilities such as luggage storage and a vending machine. At weekends, reception is only available between 08:00 and 18:00. If you feel like visiting the surroundings, check out Friedrichstraße (1.2 mi) and Gendarmenmarkt (1.4 mi). Berlin Tegel Airport is located 5 mi from the accommodations. When would you like to stay at Arabel Design Apartments? This studio has space for 1 to 4 people. The sleeping area is separated from the living room, giving guests additional privacy. The large sitting corner comes with a comfortable couch which folds into a high comfort sofa bed with a width of 5.9 ft. All studios have full kitchen. These 1-bedroom apartments offer space for up to 5 people, and have a separate bedroom with a king-size bed, a workplace and a large seating area with a sofa bed with a width of 63 in. If more than 4 guests are staying, a single bed would be provided for a 5th guest. The superior apartments can accommodate up to 8 people and have 2 separate bedrooms with up to 3 king-size beds, and a living room with a sofa bed that is 71 in wide. In case of occupancy of more than 6 people, there is the possibility to set up two more single beds, extending the total capacity to 8 beds. All superior apartments have a fully equipped kitchen. There is 1 bathroom in each apartment. This deluxe apartment can accommodate up to 10 people, and has three separate bedrooms with several king and single beds, a workspace and a large seating corner in the living area, with a couch which folds into a sofa bed with a width of 5.9 ft. In case of occupancy of more than 8 people, there is the possibility to set up two more single beds, extending the total capacity to 10 beds. The deluxe apartments have 2 bathrooms and a full kitchen. This studio offers space for 1 to 2 people with a king-size bed and a fully equipped kitchen with a dining area. All studios have a modern private bathroom. Design, Funktionalität und Behaglichkeit, kombiniert im Herzen Berlins. Wir sind auf die Sauberkeit und Gästezufriedenheit bedacht. Unser Anspruch ist Ihre Zufriedenheit. Inmitten der City Ost und der City West, bieten wir den perfekten Standort, um die Stadt zu erkunden. Trotz der zentralen Lage, schlafen Sie zum ruhigen Innenhof. Unsere Apartments befinden sich ca. 10 Minuten fußläufig vom Potsdamer Platz entfernt. Die Umgebung verfügt über einige gute Restaurants, Bäckereien und einen Supermarkt in der Nähe. Der U-Bhf Kurfürstenstr. ist in 2 Minuten zu Fuß zu erreichen. Area Info – This neighborhood is a great choice for travelers interested in history, museums and monuments – Check location Great location - show map Guests loved walking around the neighborhood! 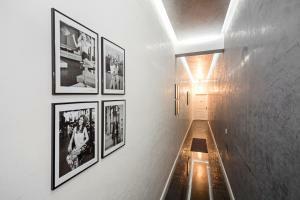 House Rules Arabel Design Apartments takes special requests – add in the next step! Arabel Design Apartments accepts these cards and reserves the right to temporarily hold an amount prior to arrival. Check-in outside of the reception's opening hours may be possible using a key safe. Guests need to contact the property in advance to arrange this. Contact details can be found on the booking confirmation. Please note that on Saturdays and Sundays, check-in is only available between 15:00 and 18:00. If no parking space is available in the inner courtyard, the apartments will give guests a special permit to park on the street (for a daily charge of EUR 9). Guests will only find out on check-in whether a parking spaces is available in the inner courtyard, and it is not possible to book this in advance. Parking is subject to availability. If children will be staying with you, you must inform the property in advance how many children will be staying. Please also note that all extra beds must be approved by the property in advance. Smoking area was within the residential area, smoke smells gets in the apartment. Spacious and nicely furnished. Pleasant stay. The only problem was we couldn't get the television working. Apartments are absolutely gorgeous. Fabulous shower, really comfortable beds. I was there with my 4 sisters but unfortunately I pulled the short straw and got to sleep in the tiny bedroom which had nothing in it but the single bed, no wardrobe or facility to hang up my clothes, no bedside locker or light to facility reading. Liked it's proximity to all the major attractions, reception staff were especially friendly and helpful and the bath was fabulous after a day of sight seeing and walking around Berlin. Great spacious apartment that looks exactly like the pictures. Well kept and in great location. Well equipped kitchen. Very friendly and helpful staff. Property was very clean and catered for all needs. Blut was hot and he didn’t open the window! You are approximately taking a dump even when you are taking a shower. We enjoyed our stay in the hotel. Very spacious apartment. Good cooking facilities. Comfy beds. Great shower. Very clean and also fresh towels provided daily. No 24-hour staff. Extremely loud partying and pounding our first night was terrible in apt above us. It began at 4 am and continued until 7 am or so. No elevator made bringing suitcases up very difficult. Very limited number of channels on the TVs. Only 2 in English; CNN and a music channel. We weren't there much, but after a long day of exploring, we wanted to relax with our feet up and watch some tv. News or music was all we had. Seemed as though alot of other channels listed on the guide were completely unavailable. I'm sure since it's in Germany, their primary customers are German speaking. However, we travel the world and most rental apartments have English channels because it is a universal language. Cleaning service is from 0900 to 1800. That's a big range. When 1630 rolled around and we hadn't seen the cleaning service, I called the reception to ensure we didn't get forgotten. As soon as reception answered the phone, we had a knock at the door. So I told the man on the phone "nevermind, they are at the door." Instead of asking if I needed anything else, or "ok, great, have a good evening", he just hung up. From the moment he answered and realized I was English speaking, he seemed annoyed. That was the evening of 29 Dec. Don't be rude to people who help pay your wages, especially when it's not warranted. Amazing apartment. Super clean, modern, and big. Tall ceilings made it look even bigger. We were a family of 8, 5 adults and 3 kids. Little tight as far as sleeping arrangements; two kids had to sleep on the pullout couch, but it worked. Location was good, but know that all the big items, i.e. the Mall of Berlin area is a 25-30 walk. Check in was super quick.